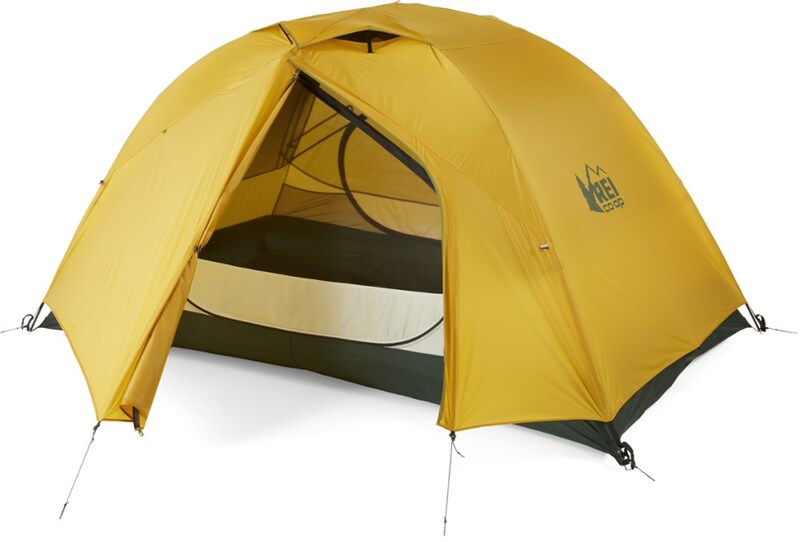 The REI Half Dome 2 is a very big freestanding two person tent with a lot of room. It can be used for car camping or backpacking. It is loaded with awesome features. The only downside is that it isn’t very lightweight. 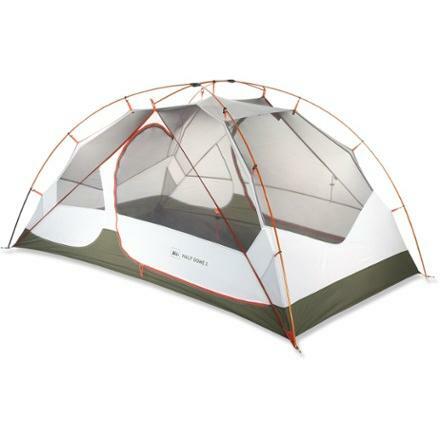 I recommend this tent because it has so much room and because it is so durable. The setup is sort of difficult to start with, but once you learn how to set it up, it is very easy. The tent poles are color coded with the grommets in the tent, so it is self-explanatory, but it just doesn’t look right until you get it set up because the poles bend at such an awkward angle that it looks like they are going to break. There are two poles that come to a “V” and one short pole for the top. You just thread the short pole through the ends of the V poles and set the ends in the color coded grommets. Then clip the clips on, stake down the tent, and you have your basic setup. I have had the Half Dome for three years. It has been through a lot storms with high winds and lots of rain. It never got wet on the inside and it always felt stable in high winds. The fly is losing some of its DWR coating, but I think it will be fine with a Nikwax treatment. The Half Dome has two vents at the top of the fly for a cross breeze. The vestibule can be pitched higher or lower for ventilation, depending on the weather situation. Sometimes condensation builds up when it is damp out in the mornings. The best thing about the Half Dome is the amount of room that it has. It is huge on the inside. There is plenty of room for two people to move around. It is long for a backpacking tent, so there is a lot of room for extra gear or just extra space. There is also lots of headroom. It is very tall for a backpacking tent. The vestibules are both full sized, so each person can fit all of their gear underneath and still have room to get out of the tent. For extra storage, there are mesh pockets in all the corners and two in the ceiling. Other than the DWR needing reviving, the tent has held up really well. Both the tent and the fly are made of really thick and durable fabric. Great for use in the backcountry or frontcountry as three-season tent. 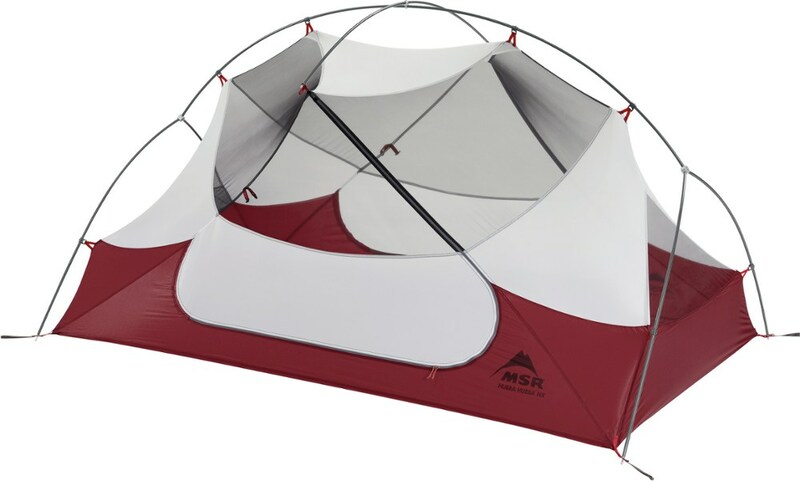 Classic design that is freestanding and has ultralight option with fly, poles, and footprint. I used this while hiking in both the backcountry and staying in the frontcountry at Glacier National Park in August. Temps at night got down around high 40s, low 50s. I borrowed it from a friend who also had a footprint, so we had all options open. While you can go ultralight with just the fly, poles and all connected to the footrprint, we did not do it on the trip. Nevertheless, my friend says he has done it several times before; it's just as easy as putting the tent up normally. No real fuss in setup. There are color-coded ends on the tent body so that you can line up the rain fly very easily. It is freestanding. We set it up, lifted up the tent entirely and then would stake it down. While it was slightly windy, we only staked down the ends and vestibules, no guylines. It did get windy a few nights, but we had natural shelter. I didn't notice any of the fly flapping. There is plenty of room for two people to sleep. Not much room for packs with two people. Perhaps a small bag, extra pillow, or water bottle for each. There are small pouches for things like your wallet, phone, etc. but we decided on not using those. The last thing we needed was to accidentally grab and rip one. It was a personal preference. There was one night with a little drizzle. No effect on us, we stayed dry. There was also no problem with condensation on the inside of the tent. With the lower temperatures, number of people, rain fly in place, it seemed like it would have been ripe for the environment inside the tent to create some condensation. 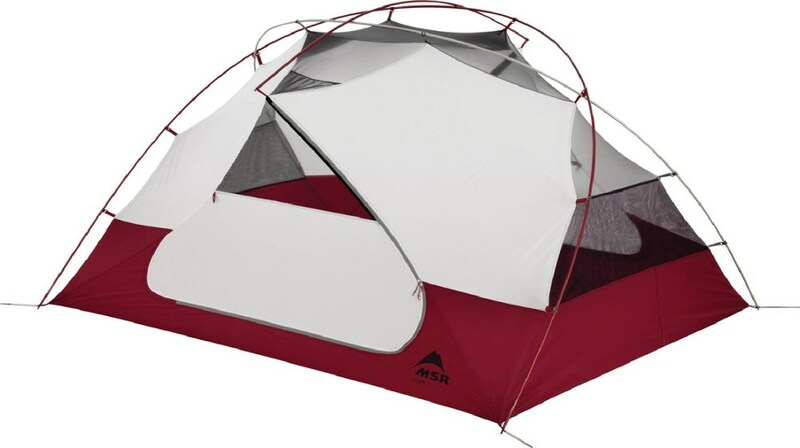 This is a typical tent when it comes to pack size and weight. When I had it in my pack, I only used the body of the tent wrapped around the footprint, fly, stakes, and poles to put into my bag. I didn't use the extra small bags for the poles, stakes, or body of the tent. Eh, saved a few ounces and possibly difficulty of putting back into the bag every morning. This is a well made tent that is great for all users. Nice review Daniel...how many poles to this thing in total (it looks like 5)? I prefer to make my own shelters most of the time...but this tent has been on my radar for a while because it appears to be on the same level as many tents several times its cost. JRenow, it's technically three poles with a hub system (two hubs in the middle) and brace across the middle for the vestibules. 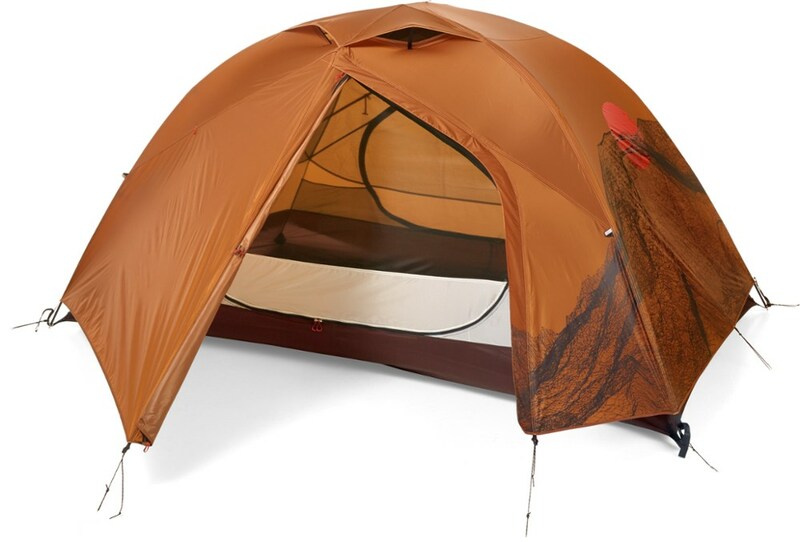 There is also an REI Half Dome 2 Plus, but I haven't had any experience with that one. Oh yeah, the cost, size, and durability certainly puts it on par with other more expensive tents. It seems to me that the below reviews are from people who live where it does not rain, or the excellent reviews are just fakes. I have been in 3 rainstorms and one snowstorm with this tent and have never been dry. And I am not talking about torrential downpours, I'm talking about light rain that lasted only a couple of hours. Within minutes of rain hitting the fly it begins to seep through, then drip onto the mesh walls, inevitably into the tent. Same thing happens when you try to keep your gear dry in the vestibules, it will just drip off the fly and onto your gear which you are trying to protect. Opening the vestibule flaps causes the fly to either hit you or the tent, allowing the collected water on the outside to run off onto either you or the tent, so make your choice of the two evils. The floor also soaks up water in no time. It does not even need to be raining, all you need is damp ground and the floor gets wet through the footprint and into the tent. It also appears that the floor of the tent and the footprint got switched in making this tent, as the floor does not stretch out completely when setup, and the footprint is unable to get taught as it is too big. 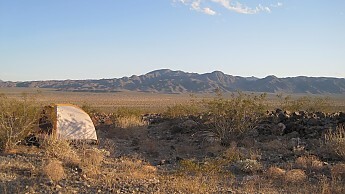 Bottom line, if you live where there is no moisture, then you have found yourself an excellent tent. Otherwise, I can't quite comprehend the amazing reviews for this tent, it must not be raining on these folks. Terrible Quality Control. 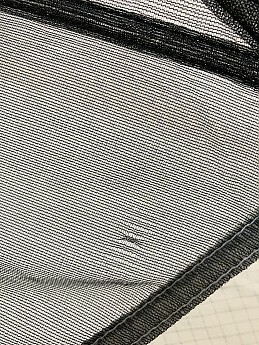 BAD RUNS IN NETTING THROUGHOUT TENT. Same situation with runs found on three different tents purchased "new" from store stock. Same problem but fewer runs on a 2017 model tent. I heard that returned defective tents were being returned to general merchandise stock. REI staff responded to situation with something between ignorance of the problem and indifference. Staff short-changed me on issuing a cash return. This review was posted on the REI website. They took it down with no response. When I contacted REI Customer Service and sent them them a copy of my review they instructed me to only post product related reviews, and told me that they would forward my concerns to the store manager. One week later and no reply from her. I am not an overly picky person. I seldom write reviews. My experience with REI on this tent has been terrible on every level and I must advise against buying this tent. I am completely disappointed. I would expect much better of the 2018 model tent and also of REI staff. Do you? First, this tent had many weaving flaws in the netting. Just right to let in small flying bugs. (What is the point of a tent again?) I figured it must be defective sample and returned it to the Co-op to exchange the tent. The second tent was even worse. I counted 15 runs in the netting all over the tent some almost 2 inches long. (The first had 11 runs which I found -- and my vision is not so great.) I only took photos on the third tent, attached here. They all looked about the same, all over the tent. On a tent that is all mesh, this is not a good thing. Both times when I returned the tent for exchange, the sales counter staff demanded I show them the runs in the tent with a statement that they had never had heard of such a thing on any of their tents and the suggestion that I was making things up. It was not anything close to a guarantee of customer satisfaction. I felt embarrassed and abused by the exchange as though I was somehow at fault. Keep in mind that the only use I had of the tents was setting them up in my living room. At the return desk, the REI associate then told me that is just how the tents are and that all tents are like this and that they all are perfectly fine even with multiple major runs all over throughout the netting. I asked one of them if she would wear nylons like that. Apparently I was supposed to agree that snags and runs in mesh netting never get worse. I do not agree. The third tent was just as bad. When I returned that tent I hear the REI Co-op associates say that they were returning the tent to store inventory -- just as was stated that they had with the other two I had returned. I also purchased a 2017 model Half Dome 2 Plus tent. It also had runs in the netting. And was returned. It was also returned to the sales floor. Four tents, four rejects for the same quality issue. That is not good. Then the sales associate short-changed me on the cash return on both tents and refused to give me a return receipt. I had paid CASH for the tents. He told me the receipt for a cash return would only be available at my on-line account. My online account shows no record of the return of either tent -- it says "In-store purchases require approximately 24 hours to be posted online in your purchase history, while product returns aren’t shown at all". Not only did the sales associate steal $17 from me on the return of 2 tents, he had also lied about the receipt. Let's review. What is worse? Poor quality control at the factory -- how does such terrible product quality ever make it out the door? Maybe the problem is in shipping. I do not see evidence that these tents are packed in individual boxes. Other than that I suppose it could be a nice tent for people who like to sleep with small insects inside their tent. I'll be buying tents somewhere else. Welcome to Trailspace, Matt. It sounds like you had a frustrating experience with REI and this tent. If you have any pictures of the runs in the netting, those would be very helpful for others to see in your review. Thanks! Thanks for the images, Matt. Huge flaws from the first use—the floor seems to soak up any ground moisture, even on nights when it didn't rain, and the zippers broke very quickly. When I contacted customer service I received automated replies. I'm a seasoned traveller, hiker, and cyclist and in my opinion there are much better tents out there than this one. I purchased this tent a couple of years ago, thinking after all the great reviews, and with REI's hefty reputation at its back, that it would be a good tent. The tent leaked from the seams and the floor fabric from the first time I used it. Any dew or moisture from the ground would seep straight in to the tent and wet my bags and sleeping mat. The zippers both broke within three months of use. It was also heavier than other tents in the price range, and what they say about not having enough tent pegs is true—it's pretty frustrating when you're out there trying to peg out the fly and realize there aren't enough pegs included for the product. I was volunteering in Chile for a year, and when I contacted REI about my problems, I received several automatic email responses, and was repeatedly told that unless I could go into a store personally (there aren't any in Chile, or post the tent in (I was using it at the time), they would not be able to help me. When I have had problems with other gear from different brands in the past, photos of the issue have been sufficient for store credit or replacement. It is by far the worst tent I've had. It looks good at first, but it is not made to last. Welcome to Trailspace, Kiera! Thanks for sharing a review of your tent. It's bad you weren't able to get the issues resolved with REI. Are you still using your Half Dome or have you replaced it? Did you ever use a footprint with the tent? Were you living in the tent? I LOVE this tent! It is easy to set up in daylight or at night and works in the snow or on dirt. It easily fits two people and because I'm short I can even stow my pack at my feet. This tent has met all of my expectations and I would recommend it for backpacking, mountaineering, and just general camping. I love this tent. It is incredibly easy to set up and can be done easily even in the dark. The fly is a little more difficult to set up in the dark and sometimes I don't stake it. I just attach it to the top of the tent and that seems to work fine for me. I didn't get a footprint along with it, so I can't comment on that but I haven't really felt like I've needed one with this tent. This tent has worked well in dirt and snow and champed through a particularly windy night up on Mt. Adams. It handles moisture really well and doesn't allow snow to seep in and keeps the rain out. Also, it dries pretty quickly on the outside once it's been laid out. It easily fits two people and because I'm short I can fit my pack at my feet when I sleep, but my partner has to stow his under the rain fly or he doesn't have enough room to stretch out. I don't know that this would be a good 2-person tent for someone that is especially tall (6' +). There are at least three pockets on the inside that are conveniently located for stashing essentials like a headlamp. It packs up pretty easily and fits well in even smaller backpacking packs. One issue I often have with tents is the zipper, they either break or don't work well and so far I have had no issues with the zippers or any other features. I'll say it again, I LOVE this tent. I've had it for about a year or two and it is still a great tent. Thanks for the tent review, Brittnie! Do you have any pictures of your Half Dome set up we could see in your review? Very nice affordable tent. Lightweight enough for long gone backpacking trips. Rainfly needs to go all the way to the ground. A great tent that is very lightweight and durable. It has two doors making entering and exiting so much easier. It's a 3-season tent but with the footprint and a good sleeplace system colder weather won't be a problem. Good in fair weather only. ANY amount of rain consistently ends up coming in through the vents even velcroed shut. Heavy rain bounces into the tent from under the flaps. After many soaked nights, I have begun adding modifications since I live in Australia and can't really exchange it—fingers crossed on the mods. This tent is great in dry weather. We have used it in all sorts of terrain—hard earth, soft earth, duff, grass, river cobbles (with protective blanket under, that was car camping), etc. It's not too light for backpacking, but we're gluttons for comfort. It's very spacious, so the weight is a reasonable price to pay. We even let the dogs (kelpies, two of em) sleep in there with us when we can bring them along, which they love. However, any amount of rain builds in the corners of the vent flaps and pushes a puddle into the tent after a while, which ultimately pours on your chest. Heavy rain such as a thumping storm we got out at Smith Rocks bounces off the desert floor and straight under the rain fly. We haven't found a cure for it. I have recently added additional Velcro and flaps to the edges of the vents to try to forestall the puddle problem, hopefully not at the cost of good ventilation when the flaps are open. The hose test is a hopeful preview for expected conditions on the Overland Track in Tasmania. Welcome to Trailspace, Waterdog! I'd be curious to see some pictures of your tent and its mods. Please let us know how it works out on the Overland Track. Have had two of these tents for about 3 or 4 years—one for me and one for my son (he uses it for Boy Scouts). Have used these on numerous Cub Scout and Boy Scout camping excursions. Wind, rain are no problem so far. The tent setup takes a little bit to get used to, but I'm not really mechanically inclined, and it didn't take me or my son too long to get the hang of it... (about 5 practice setups at home). I would really recommend getting the matching footprint—keeps the floor from too much abuse. It fits easily in the stuff stack along with the tent. Took this on my first backpacking trip (still a backpacking novice), everything went fine with it. I did take the poles out of the stuff sack and lashed them to the outside of my pack and it fit nicely in my backpack. Last night on the trail we were "treated" to nasty winds and rains. I woke up refreshed and dry. No leaks anywhere!! Half Dome 2 in "action" after a monster storm the night before. Thanks for the review, Kevin. I hope you'll keep us posted on how your Half Dome continues to work out for you. Superb ventilation, roomy, and easy to assemble. The stitching and material appears high quality. At first, I was a little concerned about the openness of this tent. I used this tent during some late fall rainy seasons, and winter sub-freezing conditions. It does appear a little heavy, but the simplicity and design make up for it. There is enough room for two 260-pound men and air mattresses. 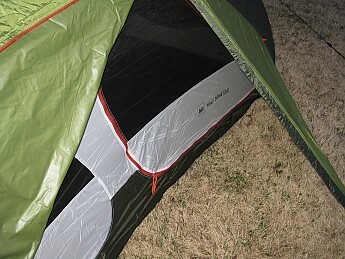 I feel the user should add two more tie-offs and pegs, at the sides, when they use this tent. Why doesn't it come with them? If you position the ventilation opening loop braces correctly, the vents work great in the rain, won't pool water and will draw off the interior moisture. Sometimes the hook and loop fasteners will create a depression that collects water if the tent is not level, so be careful; you can adjust the fastener so the base extends farther into the fly to prevent leaking or pooling of water. The venting system worked great in sub-zero temperatures and removed most of the interior moisture, which left minimal internal icing. The fly works both ways; you can put it on backwards, mixing the red webbing with the black webbing. This way, the fixed vestibule awning will remain over most of your zippered opening, preventing water from entering when you enter or exit. Although, entering and exiting the tent this way is a little harder. Also this tent can be erected fly first to prevent soaking the interior. 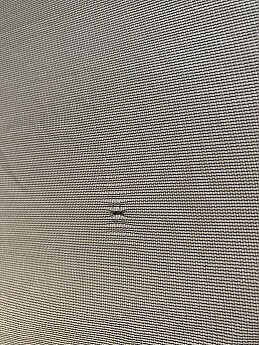 The tent is rather drafty on windy days; what I see is the new model tent has reduced the screen, so it goes straight across, and it appears the doors have changed. I loved the tent so much I purchased several more for friends, family, and/or spares. Welcome to Trailspace, Schlepper. Thanks for sharing your Half Dome review with us. Leaks like a basket in wet conditions. I like the design of this tent as it is really roomy for its size. However if you expect wet weather conditions do not buy this tent. I experienced a heavy rainstorm and had approximately a half inch of water in my tent. I was very disappointed as I was mislead from reading how good this tent was. Please don't make the same mistake as I did. I have had three other tents and slept in two others all different sizes. This one is my favorite one- or two-person tent. It's rated as three-season, but I used it in all four and was comfortable. I slept like a baby on a cold wet rainy winter night and on a hot humid summer night as well. Fairly lightweight and quick to set up. This tent might be on the heavy bulky side for backpacking but for car camping it's perfect. Has zipper doors on both sides. This is the first tent I bought and I still use it to this day. I love this tent. It fits my wife and I just fine, it is light, sturdy, and compacts down. It is the best bang for your buck. The REI Half Dome 2 tent has really impressed me so far. In addition to car camping, I also take it along for short backpacking trips and haven't had an issue with it yet. It's been through pretty heavy rains, 30 mph wind gusts and even snow. Interior space is adequate for two people (I am 5'9" and weigh about 145 lbs. and my girlfriend is 5'3" and slim :). We can fit comfortably with enough room for some clothes and a couple backpacks. We can both sit straight up in the center of the tent. The two vents on the rainfly work well as we haven't had any condensation problems yet, the eight mesh storage pockets are plenty for us there is also a handy loop at the top of the tent on the inside where we can hang a small Black Diamond Orbit Lamp. Set up is quick and easy with the color coded parts and take-down is just as fast. The tapered and compressible storage bag also makes it easy to pack away. Overall the Half Dome 2 is a solid tent for most activities (might be a touch heavy for longer backpacking trips) and I'd recommend it to those who car camp and do shorter backpacking trips. I bought this tent at an REI used lot sale. Paid $34. I bought this tent at an REI used lot sale. Paid $34. The poles were bent so I turned them in for repair and REI gave me a new set free of charge. What a Deal. I used this tent up at Mt Whitney at 12,000 feet for 2 nights in November. I got blasted by wind one night and the next morning. The tent held up fine. Very durable. There are extra loops to attach tent line to hold down the tent and reinforce it. I reinforced the tent witn the tent lines and left one vestible down and put rocks on the fly on two sides to block of all the wind and I was fine though the night. I had a +10 degree REI bag and that kept me warm and I was able to cook food, store my boots out of the other vestible. The tent is the right size for myself and all my gear. Two would be cramped. I like the storage pockets on the inside and I know it is not a 4-season tent but I would use this in winter plannning accordingly for light or no new snow fall. I have a 4-season tent but the stability and light weight I think it can handle some winter abuse. I did not get any condensation in the tent. I like to fold the tent and fly and stuff it in the tent bag but I only use half the bag and fold the extra material over. The tent fits inside my pack and takes up very little room. I use an Osprey Variant 52 lg. so it is not a huge pack. I like that I can use just the fly and footprint also. I would take this to any 14er any season with clear skys. Great tent and I have confidence with it on my next winter trip. Ease of Setup: Super Easy! -Set up and break down. I was able to set up and break down my tent in half the time of others on this trip. Including some Marmot and Kelty tents. Easy EASY to set up and take down! -Roomy. I'm 5'11" and shared with a man 6'1" and we both had plenty of room. Not an excessive amount, but enough that we didn't touch throughout the night and we had about 6" of additional room lengthwise. -Internal storage. There are 6 storage pockets in the tent. One on each corner and two attic storage pockets. This is quite valuable in helping to find things in the middle of the night. -Moisture - Rain fly/condensation. I was rained on throughout the first night and had zero water come in the tent and I kept the vents open every night which helped in having no condensation on the inside of the tent. -Head room. Both me and my tent partner were able to sit up in the tent with plenty of room between us. Because of the brow pole that gives the tent it's unique shape you no longer have to be in the middle of the tent to sit up. Awesome design! -REI Customer Service. I ordered this tent and the next day the price had dropped by $40 because of a sale. I called REI customer service and they credited my account the difference within a week. I really enjoyed this tent and would recommend it to anyone that's tired of buying $30 and $50 tents and is ready to spend a little more money on a good tent. This tent is without a doubt worth the money and one that I look forward to using for years to come! Best value tent out there. It exactly hits the mark for quality and features vs. price. There are lighter tents out there and more rugged, but nothing comes close to the quality of the half dome 2 for its price. This weekend I spent 3 windy nights in my half dome. First night I set up only the tent with no rain fly thinking that the wind would make the wind fly flap too much. The tent was easy to set up in the wind by myself. That night it was absolutely quiet and stable in the wind. I slept like a baby! next night I added the rain fly. Much to my delight, there was minimal flapping and the rain fly has lots of extra loops to adding ropes to make it even more stable and flap free. I didn't need them. On the con side, I don't care for the door design, it is a little awkward to get in and out of the tent. Also, I am concerned about the air vent in the rain fly - good idea on a hot dry night but I don't know what will happen on a windy, rainy night. If it becomes a concern, I am sure there is a work around. Also, the zippers for the door leave a little opening where they meet. Again, there may be a work around. It is a little heavy as a backpack tent, not bad but for about three times the price you can get one that is a pound lighter. 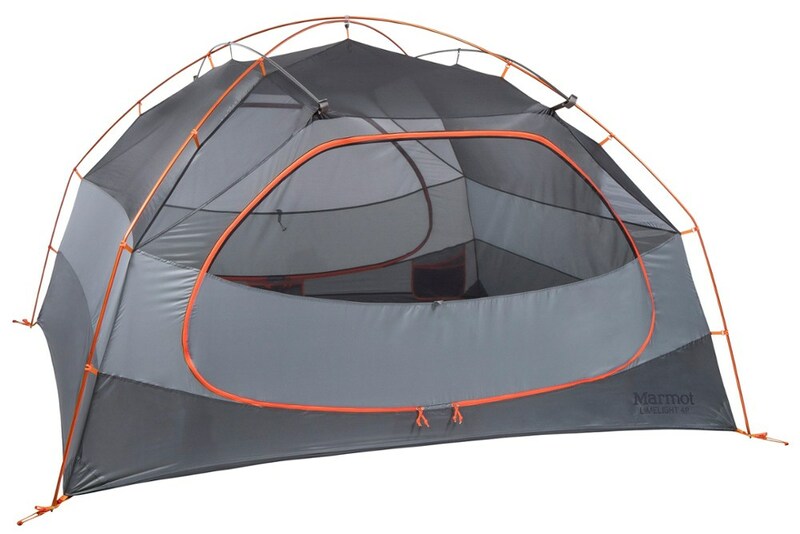 Other than the couple of minor things, this is an awesome tent, the best value out there. Very well built, very sturdy. Before purchasing this tent, I had a bad experience with a Eureka tent: waking up to an inch of standing water in a driving rain and the temp. ~35°F. I was prepared to spend some money went I went on my search. This tent has met all my criteria: single pole system, tent attaches with hooks instead of a sleeve, 2 openings and large vestibules. I have used this tent for 2+ years now, in all seasons and I love it. Very easy to set up. The window comes in handy. Bought it on sale at an incredible price. My only problem is the stuff sack. The 2 straps create a choke point and prevent the bag from opening fully. Not sure why REI did this since their original design back did not have this problem. Two of my friends bought this tent on my recommendation and they both love it. But, they both agree that sack is a bad design. I shopped around for a while before I went with this tent several years ago. It is still in like-new shape with moderate use. I like that it has two vestibules, two doors, and is long enough for me (over 6ft) to sleep without touching the walls. I've gone quick and light with just the fly and groundcloth. Excellent Tent. I noticed the new version on this tent, the UL, has sleeves for the tent poles. I like the clips better. Way less of a hassle setting up. Ok tent. Easy to setup, and very light. Enough vestibule area to keep boots and pack outside. Not easy to get in and out of the tent (I feel like I'm getting stuck in the door each time I get in or out). I used it in cold and snowy weather, without any leak, but the condensation inside the tent was a bit too much. I have the impression the tent doesn't extend to its full capacity! I have used the Sierra Design Gamma 2 tent (similar dimension), and I think the Gamma is a much better design. Great product kept me dry all night, pleanty of room for another person even though it was just me, bit excessive for one person, just right for two. I would highly recommend this tent even though I stopped using it when I went UltraLight. This tent is an excellent choice for two-up motorcycle travel and camping. The tent, rain fly, footprint, and poles take up less than half an Electra Glide saddle bag. I have tried several other tents in the past, with some success; but each trip I was unhappy with the large amount of space required for packing the larger tent and the corresponding lack of space for packing other things. The REI Half Dome 2 seems to be the perfect tent. It provides adequate space but packs small. For several years, I thought that I had to have at least 50 square feet for helments, boots, and personal items. Although the larger tents took a lot of packing space, I was afraid to try a "two-person" tent. 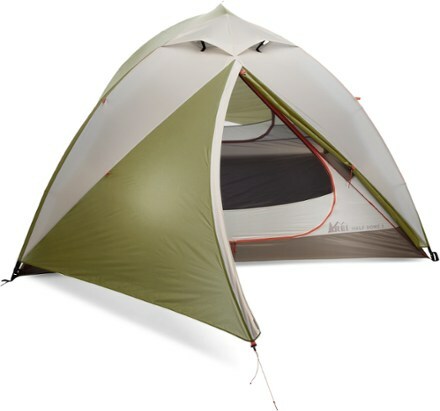 But after repeated frustrations and inconviences related to other larger tents, I decided to try this REI Half Dome 2. Our first trip was to the Smokey Mountains National Park. I was immediately pleased with the result. It is exactly wide enough for two 25" air matresses, and it has additional length (I am 6'3") for clothes and personal items. Some of the other desirable features are: aluminum poles, simple but sturdey grommet holes for holding the poles at each corner, easy clips, two doors, lots of tie backs for the doors, and two vestibules to store helments and boots in dry bags. Some other observations are: Gear lofts, in general are not helpful for me, so I immediately removed it and hung a small micro light from the center tab; a string was looped through the four corner tabs and used as a clothesline; there are no inside pockets but that isn't a problem for me; the center pole hub is intended to give additional stability but it requires a little more time to set-up and take down; ventilation was ok but this tent really holds the heat in (there was a noticible temperature difference in the cool early morning; both doors are at one end and it took a few nights to figure out which end was best for our heads (we finally decided to have our heads at the door end), even though this arrangement made it a little more difficult to get in and out of the tent; I am not able to comment on waterproofness yet. Overall I am very satisfied with this tent and plan to keep it in my saddle bag for a long time. Not impressed with this tent. Aftering having used Sierra Designs tents for years, the Half Dome doesn't compare. It sets up fast, but the poles don't stretch the tent out to its full dimensions even on a flat surface. The actual floor dimension was not as wide as advertised, although it fits two 6 footers comfortably. Also, the fly leaked at several locations and had to be seam sealed. There are a number of tie backs and guy points along the seams that act as wicks. I found this out when it started dripping through the screen onto my face. This is an awesome tent. I have been using it for three years and it hasn't let me down. In October it was great in 50 mph+ winds at an open site on the Straights of Mackinac. Some people say it's kinda small, but I guess it depends on what you want/need from a 2-person backpacking tent. I am 6'5" and I sleep very comfortably with my wife (5'4") and our sheep dog below her feet. I can lay out straight without pushing on either end of the tent, which I can't do in most 2-person tents. There is enough room to sit up and move around a bit. Hanging out inside all day would be tight, but if that's what someone wants to do this probably isn't the tent for them. As a lot of the reviews say, the attic is great for a headlamp and the side pockets keep track of small things. This is a great tent no matter what the price....at this price it can't be beat! We got this tent for our wedding by registering through REI. We took it on the Wild Azalea Trail in Louisiana a couple of times and it is bombproof! On the first trip, we really appreciated the light weight and good ventilation because it was muggy and warm. On the second trip, it rained for 14 hours straight, starting at 8 p.m., I mean TORRENTIAL DOWNPOUR. Not a drop inside! We couldn't believe it, the rain was coming down like someone had aimed a firehose at the tent. We slogged out the next morning due to flooding of all but the highest points of the trail, but it had nothing to do with the tent. It was amazing, and we plan to use it for many more years. As far as floor space, we consider it adequate. I am 5 feet tall and 110 pounds, my husband is 6'1" and 225, and we could have pulled our packs inside if we wanted, although it would've then been cramped. It sets up in about 5 minutes flat if you're taking your time, and is very easy to set up. Stop searching! Get the tent!! My wife gave me this tent for my 30th. So it should say price "she" paid. Of course, I suggested it. I research for weeks before buying anything and I couldn't find a tent anywhere near the functionality, weight and price. I've read the other reviews and I've found my experiences with this tent to be different than some. As far as the room, I'm 5'10 and it fits two people my size and a 50 lb dog at our feet. Yeah, it's a little cramped, but that doesn't bother me. If you're able to pound two sticks in the ground along side the tent, a pack can lean sideways on them and easily stay out of any weather in the vestibules. Someone mentioned the fly sagging. As long as you use guy lines, it's had three inches of snow dumped on it overnight and held up just fine. It's rated 3-season, but I've had it out as low as 10 degrees F. I'm not sure if the poles would hold up in much colder temps. The mesh gear loft is great for setting a headlamp in for light and the side pockets are nice for small personals. I recommend the footprint. It weighs next to nothing and completes this tent. I have owned this tent for many years. I am truly convinced that REI is on top of its products in terms of features, weight, dependability, and longevity. This is STILL about the BEST overall and all around tent you can buy. Well built, great features, and dependable! A fantastic all around tent. Does not leak a drop of water after many years of use. I own eight tents at my house. They range in price from $39 to $350. I will have to say that the REI Half Dome tent is the THE BEST tent I have ever come across, feature for feature, and best bang for the buck. There is not enough room to talk about how great tent this tent is! For the price you pay, you get SOOO MUCH more than ANY other tents in the this price range. Reflective tape on the tent and zippers, aluminum poles, gear pockets, supplied gear attic, quality craftsmanship, good stakes AND tie down cord supplied, not to mention light weight. Backpacker magazine picked this tent the best of tents a few years ago, and if you own one you will understand why. If you want a lightweight, bombproof tent that has a lot of high dollar tent features, then this is the one! I doubt I will ever find one that will match features, strength, quality workmanship, and price. This tent is truly remarkable! You will not be disappointed if you are looking for an all around 3-season tent. I have been using this tent since 1995. I am very satisfied with the performance, especially considering the price! My daughter (5-3) and I (5-11) have had no trouble making sufficient room. My 6-year-old son and I have more than enough room. It is also light enough for solo fall and spring trips. I have been using this tent for the past five years and can testify it is bombproof. I have camped in extremely wet weather and never once experienced any leaks.The tent is roomy for one, this allows you take in your equipment. This tent is not for tall people but does fit my 6' frame well. This tent has a polyester fly, so sun doesn't kill it. It is actually pretty light, especially when you figure that a single wall G-tex tent weighs the same if you add in the ground cloth. I can replace my Half Dome four times and have a new tent every year for the same price (but after two years it is still going strong). 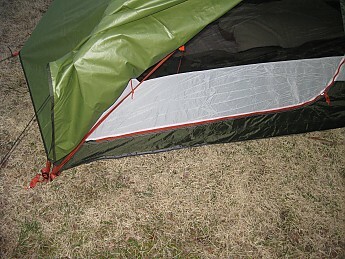 It really sleeps 2: you can easily fit two long/wide Thermaleak pads--be sure to check this when you compare. The vestibule is small-ish, but you can cook in it no sweat. And the tent holds up in winds that blew trees down (if you guy it out, which I did). And it didn't flap too badly. The only downside might be that the grey color would be hard to spot in a white-out. Mine sheds Sierra snow well, so I think others may not have used the fly tensioning feature when they had sag. It has zero snob appeal, but I would take it over any of the many much higher priced tents I have compared. It's great! I agree with a previous review of this great tent. I agree with a previous review of this great tent. 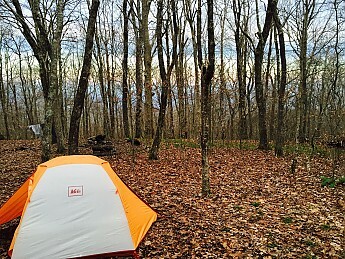 REI has done a great job of making an inexpensive tent that really holds up under heavy use. It sheds rain (and snow) very well. Although I would not use it for winter use. My girlfriend and I used it backpacking last June at the Grand Canyon. 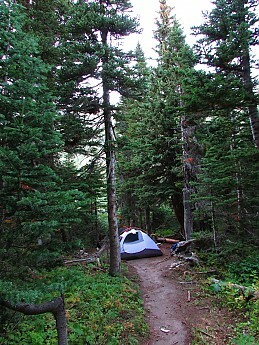 I wanted to take along a well vented tent because we expected sweltering temps and I did not expect to use the rainfly. Much to our surprise it snowed two of the three nights we were there. The tent did not leak a drop. It has decent sit up room for changing clothes and for playing cards in the foul weather. I will certainly buy another when this wears out. I just want to join the others in giving this tent a two-thumbs-up review. First of all, it's probably the best value for the money of ANY tent I have seen for sale (including those cheap, heavy, poorly-vented, shoddily-constructed-with-Chinese-slave-labor tents from Wal-mart): At $100 or so, it's a bargain! This tent has withstood wind, freezing temps and torrential rains, and vented comfortably at 85 F, and is still going strong after eight years. The only complaint I have had is condensation inside the tent. I think this comes from not treating the fly and canopy material with a hydrophobic coating (like Nikwax), but I also think my tent could use a cleaning, and I can't blame REI for not using an additional expensive coating process on an inexpensive tent. Ease of Setup: So easy my grandmother could do it! This is a great tent for someone who doesn't feel the need to shell out big bucks. It is light, easy to set up, and has a nice sized vestibule which is perfect for wet boots or a wet dog! Only complaint is that the rain fly seems to sag a bit in heavy rains causing a bit of condensation in the tent. An added bonus of a light colored rain fly makes it much more pleasant to wait out a rain storm in as it is plenty light enough to read without additional light sources. Working in a major outdoor products retailing chain, I see many tents come and go, and I also get lots of information on them. Despite the fact that it is a "store-brand," it performs quite well. It was my first tent purchase, and many nights spent on top of 4-5 thousand foot mountains proved its strength. I recommend it highly for the hiker/backpacker who is looking for quality for a good price. This tent is great. I have had no problems with the Half Dome. I am very pleased. REI makes some terrific gear. Easy set up, easy take down. Two fit comfortably with room for gear in the built in vestibule. This is a great tent! It sets up easily in about 10 minutes, 5 if you're rushed. I've had mine through blizzards and rain storms and only once did it momentarily "cave in." A gust of wind caused one of the tent poles to momentarily invert. This was during a fierce storm that turned out to be the tail end of Hurricane Ineke. I'm 6'1" and I can sleep flat against the side without having to sleep "diagonally." The tent is big enough for 2 without gear. I usually pack my own tent, so it fits me, my gear, and my two large dogs who are both about 80#. I use my tent as a 4-season tent though snow does sometimes blow in because the fly doesn't come down far enough in the front or the rear. Though it has steep sided walls, wet snow does stick to it, causing the fly to press against the tent wall. This reduces all ventilation between the tent and the fly causing lots of condensation. The aluminum tent poles slide through the guide sleeves both ways without snagging, making takedowns a snap, too. The tent anchors at each corner. The fly uses Fastex-type clips to attach to the four corners and also uses a shock cord on each side. Additionally, the fly attaches to the tent via Velcro fasteners to the tent poles and a small hook on each side of the tent. The tiny hook helps keep the tent walls "pulled out." Though snow has occasionally blown in, rain has never been a problem. The interior has four loops at each corner near the top so you can rig a gear net. There are also two pockets on either side of the tent for things you need quick access to. The floor is coated with some kind of thin film rubber. I've used my tent heavily for over 5 years and the coating has yet to show signs of peeling or wear. The zippers for the doors and windows are high quality. Because of my dogs, the zips have seen hair, ice, mud, etc. and they have yet to fail. The window flaps are secured with Velcro and the door is held open with a small nylon web strap. The tent comes with a nice stuff sack. There is a sack for the tent spikes (which are the cheesiest things about the tent but they still work great), the poles, and the whole tent itself. Also included is a small tube used as a repair for a bent/broken pole. The cord lock on the stuff sack is useless and crapped out the first trip I used it. It jammed with dirt and never worked again. This is no biggie since the sack is overly long anyway. The only thing I wish it had was a vestibule. The tent will get wet or filled with snow if the snow is blowing toward the door. Again, this is partly because of the high rainfly profile. If it sounds like I'm nuts for this tent, it's because I used a $20 pup tent for 4-season 'packing for 10 years before I finally decided enough was enough. That said, YMMV. This is a great tent. I use it for all four seasons and it has worked out great every time. It is water resistant and has plenty of room for two. A very nice beginning backpacking tent. Easy to set-up, rainfly works excellent. Depending on how hard it's raining you may get some splash up (happened to me). The REI Half Dome 2 is not available from the stores we monitor. It was last seen January 24, 2019	at REI.